This morning I finished reading a book worthy of one of Pauline’s bookmarks. This is George Mackay Brown’s ‘The Golden Bird’. That title is one of two Orkney stories combined in a John Murray publication from 1987. As beautifully crafted as our NZ friend’s work, these stories tell of his Island home during the last quarter of the 19th century, when he traditions of centuries were beginning to be threatened. The eponymous title tells of the slow decline of the island community and the tensions of isolation within it. The next ‘The Life and Death of John Voe’ takes as its theme the story of a typical Orkneyman who sails the seas and returns to his roots to end his days. A voe, incidentally, is a small bay or creek in the Orkneys and Shetlands. The writer, who spent all his life in the Orkneys lives, breathes, and conveys the essences of the hardy, taciturn, folk; the savage seas; the rugged landscape; and the essential isolation of the time. 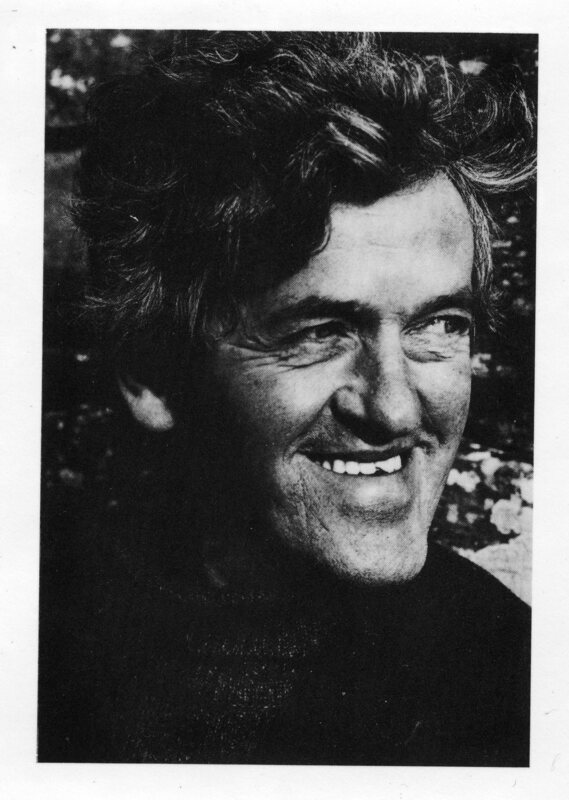 With spare, simple, poetic, language, Mackay Brown enthrals and informs the reader. Perhaps the most beautiful passages are left to the final stages of the second story. He is justifiably considered one of the great Scottish poets of the 20th century. The portrait of the writer inside the dust jacket is by Jessie Ann Matthew. Somewhat later I toured the garden in order to check on irrigation needs. I was encouraged by the sight of yesterday’s droopy pansies revived by the water I had given them. 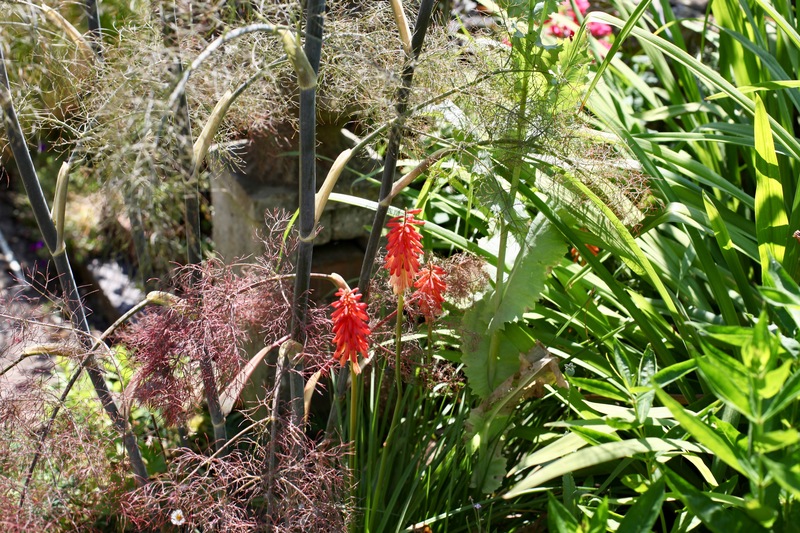 and miniature knifophia thrived in the beds. 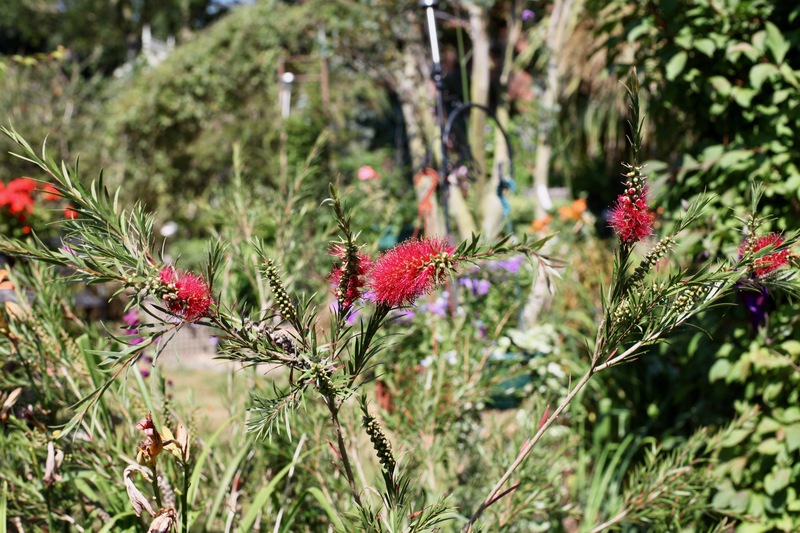 The red Bottle Brush plants are now blooming. and most of the plants in the various pots and hanging baskets are still benefiting from the soaking administered by the Head Gardener. It looked as if I was due for an easy time. In the heat of mid-afternoon I undertook another check. This suggested it would be beneficial to water the patio and its surrounding containers. I therefore did that, mostly with a hose. Eventually I ran out of steam and could do. no more. Soon afterwards Becky looked further afield and noticed droopiness in a chimney pot. She photographed the ailing plants and administered liquid refreshment. Later, Elizabeth came for a visit and Becky cooked for the three of us. She produced an excellent meal of Cumberland sausages; mashed potato; tasty onion, mushroom and red wine gravy; cabbage fried with black pepper and nutmeg; and a tin of sweetcorn because she couldn’t find any carrots to julienne and glaze. 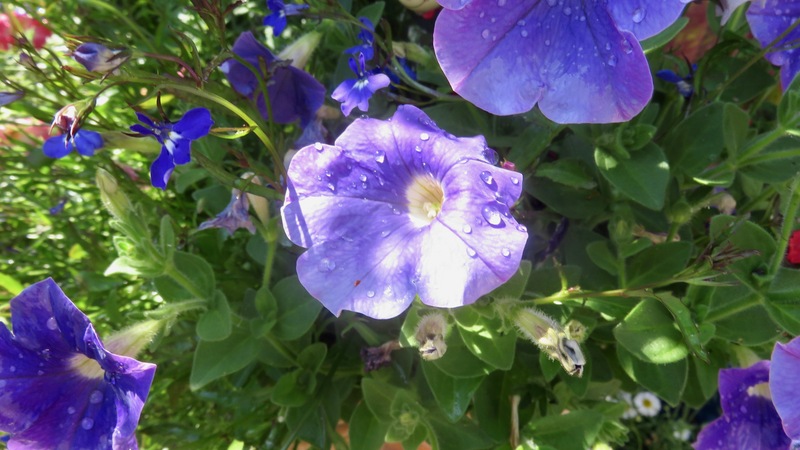 This entry was posted in Uncategorized and tagged bottle brush plant, chimney pots, day lily, George Mackay Brown, geraniums, Jessie Ann Matthew, knifophia, pansies, petunias, rose Super Elfin, The Golden Bird by derrickjknight. Bookmark the permalink. My, my, Becky does take after her mother, doesn’t she?!! 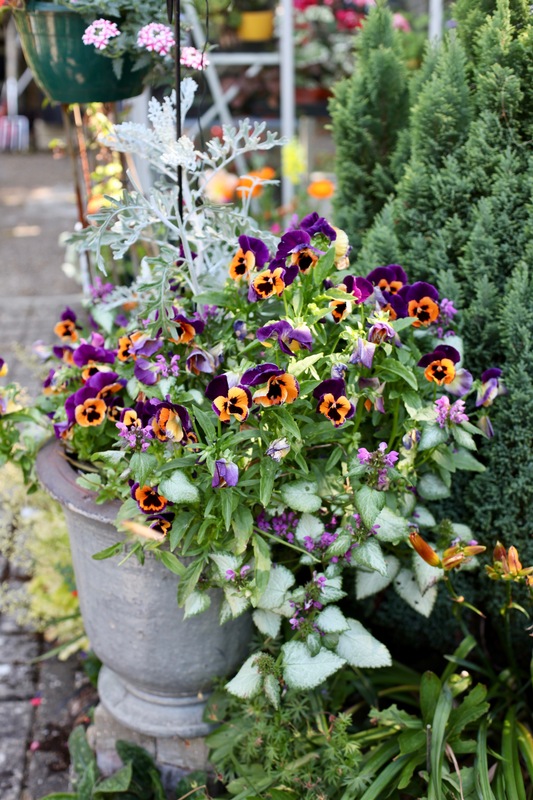 Loved the droopy pansies, they are gorgeous. Good book review, too. Ahhhh…I love the Orkneys. Adding this to my list, too. Many thanks. You would love GMB, Pauline. If you have any difficulty securing a copy, please let me know and I will send you mine, complete with bookmark. Now wouldn’t that be fun? That made me smile Derrick There are a number of his works still available, but this particular one is marked as ‘not available’ on Book Depository. I’ve ticked the box to let me know when it is. But I don’t know if that means it’s out of print altogether or BD are just waiting a restock. Ah, a book worthy of one of Pauline’s bookmarks is a book I will look into. Also – from the eyes up, he looks like John Irving, so that’s a double plus. Your pansies are planted (on the bottom) with a plant I have and love. I call it “creeping lamium.” Do you? I love that you’re strolling about the garden on your own, and I also love that you have caring family to finish up in the garden and still make a wonderful meal. I’m glad you found a book worthy of Pauline’s splendid bookmarks. The flowers salute you for your careful attention. So beautiful! Many thanks, Merril. I had to sit down afterwards!! 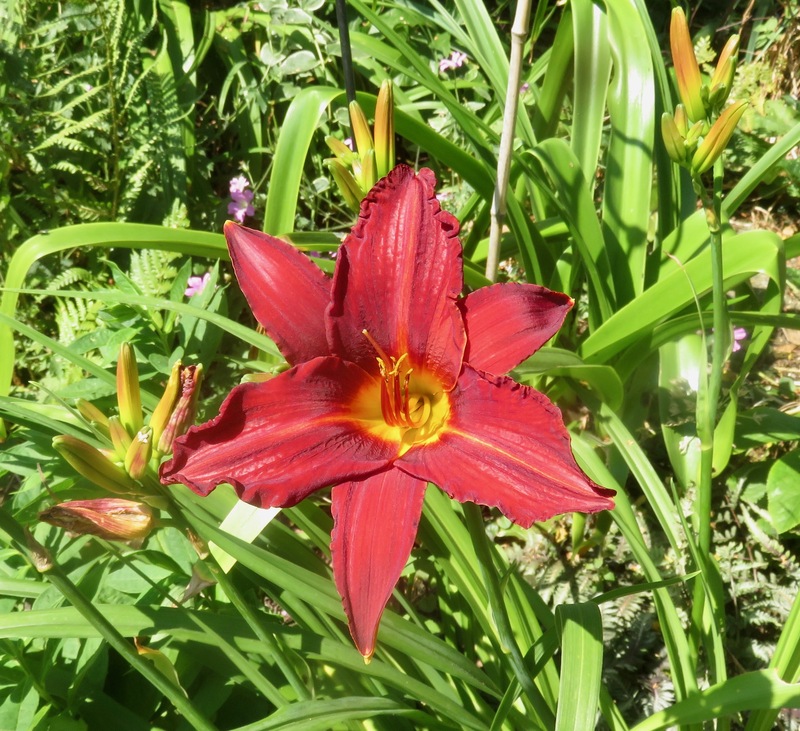 Sounds like a great book Derrick, and of course I have to say your Day Lily looks superb. Nice to see Australian Natives blooming ‘over there’. Sounds like a good meal despite the absence of julienne carrots. You’re lucky I’m not cooking for you – in this house we don’t often cut carrots into more than two or three pieces these days. 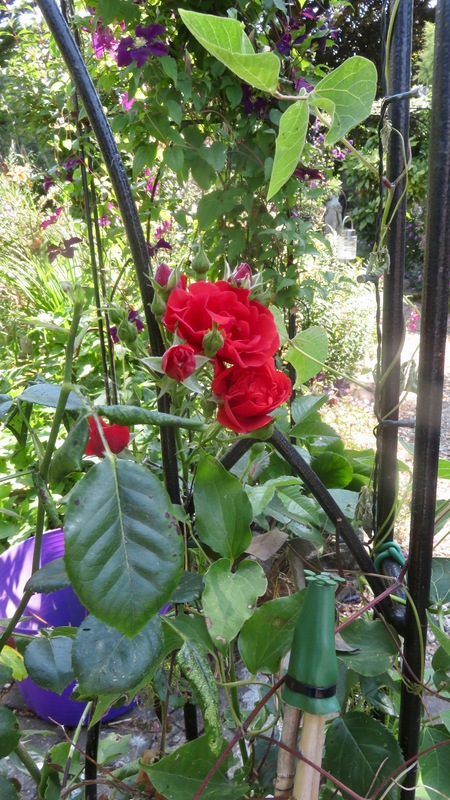 Great enjoyable post Derrick and thanks for the link to what promises to be, enjoyable reading, garden looks great , we actually have a lot of our streets here lined with Bottle Brush trees, quite flamboyant when flowering. Wow, I can’t imagine streets lined with bottle brush trees! Wonderful. They bloom in Summer here and are beautiful around Christmas time. Many thanks, Carolyn. Russel was seen yesterday, but not by me. If another crow shows up, you can name her Sheryl! Ha! Gorgeous garden as always! The pansies are looking well! What a meal! Even though everyone else said it, I love the shot of the pansies, and also the day lily. The book sounds wonderful.